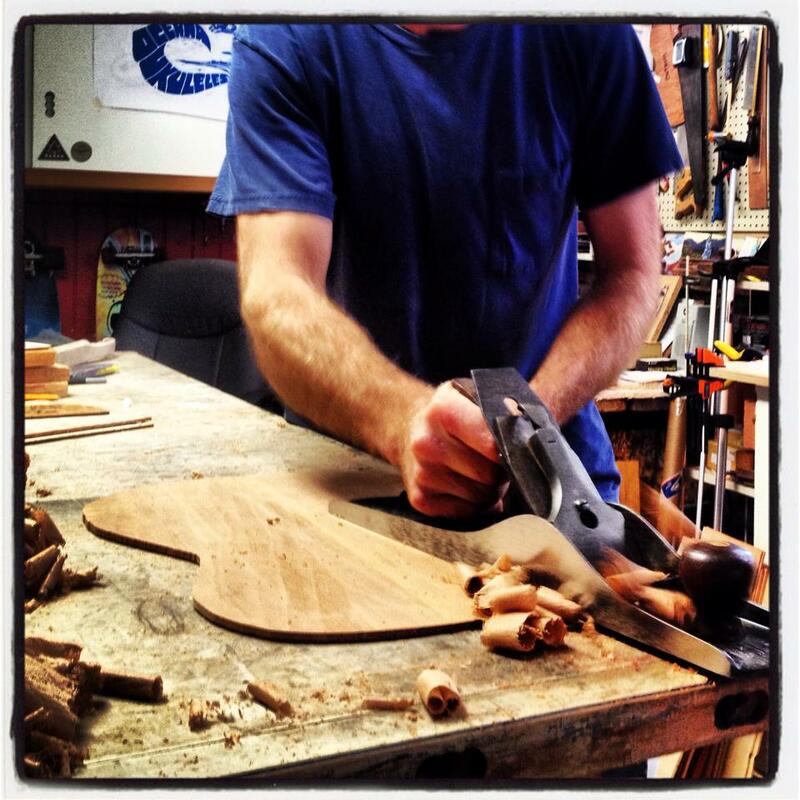 Made by hand and by ear, one at a time. 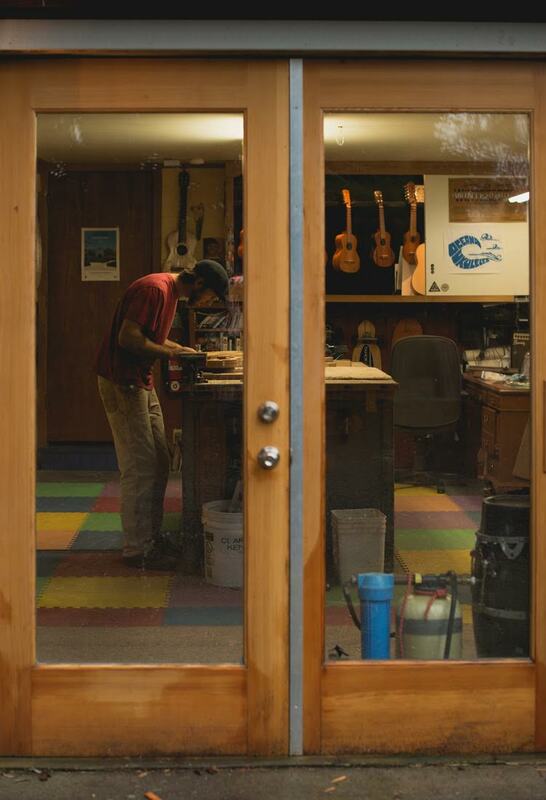 Welcome to Oceana Ukuleles’ workshop, located in Port Orchard, Washington. 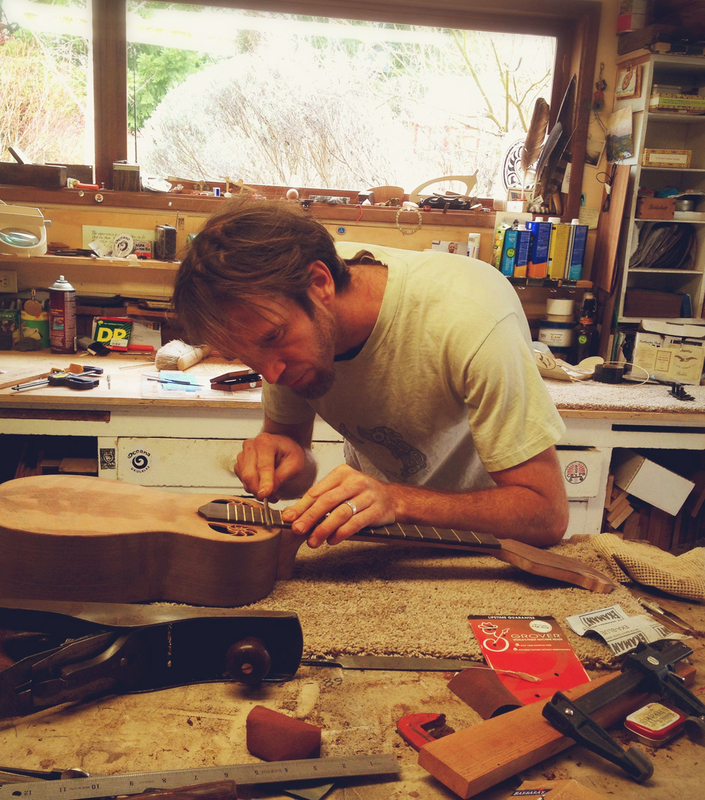 Excited by his passion for crafting instruments, Zac centers his efforts on the quality and sound of his instruments. What's your approach to building? "Having learned true hand built craftsmanship from a third generation Ecuadorian luthier, I find that working the instrument by hand gives me intimacy with the wood and results in a much better sound quality that machines can't match. 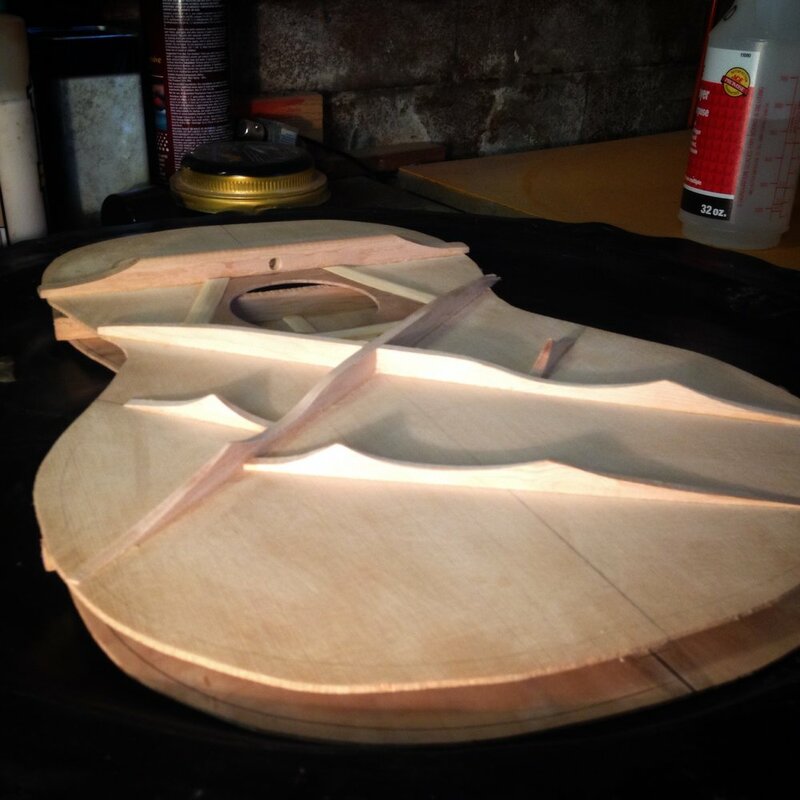 This art takes both the skill and the well-trained ear of the luthier, quality that cannot be extracted from the Internet or reproduced on a production line." What makes the "Oceana" sound? What I strive for is quality of sound. 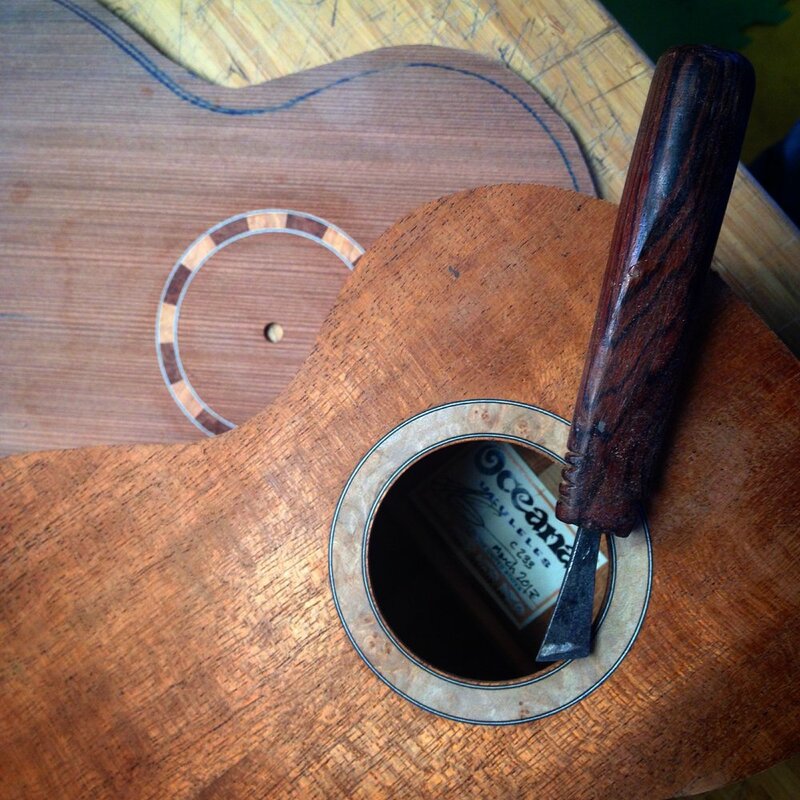 Most of the things I do to get great sound out of an Oceana Ukulele go unseen: getting the thickness of the wood just right (depending on what kind), finely tuned braces, sanding the interior of the sound box, tapering the fretboard and a host of small yet important details. These invisible efforts translate directly into the sound quality. 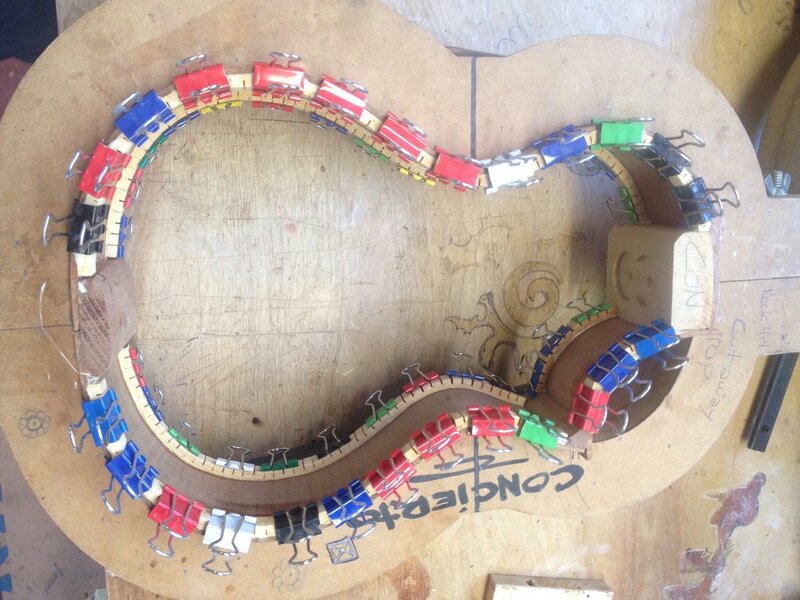 My aim is to create stunning sounding instruments, with the versatility of a fine actor, able to play any part." What makes the "Oceana" look? 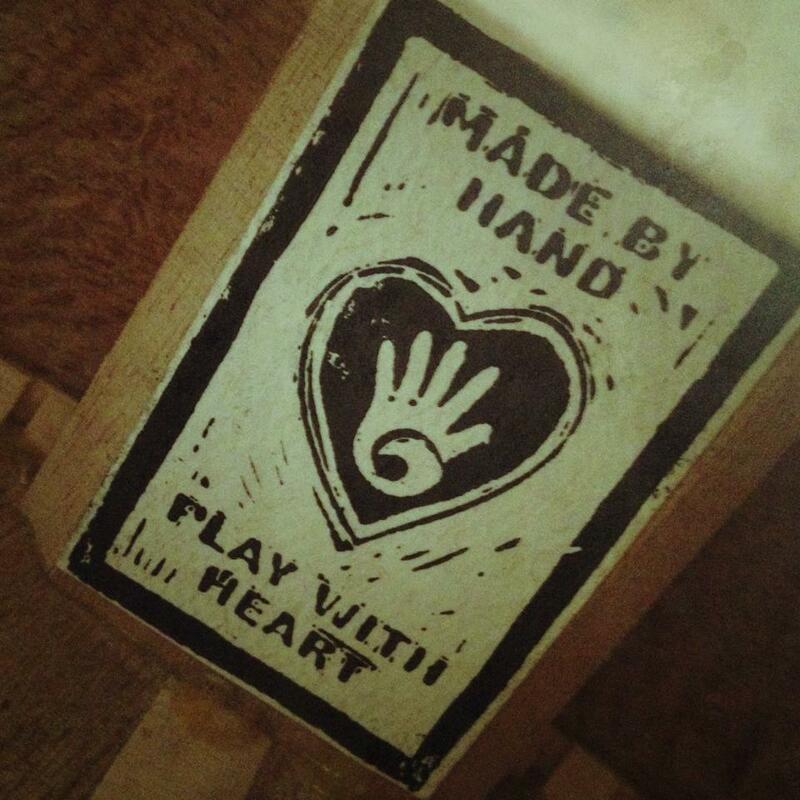 "My goal in ascetics is to let the wood speak for itself! It takes an artist to combine the woods with their myriad colors and shades in such a way as to enhance their natural beauty. 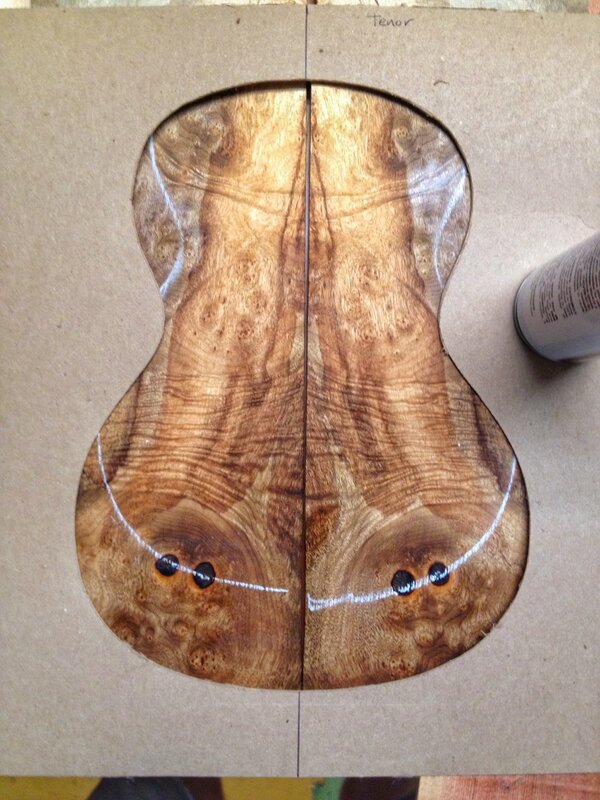 I generally avoid drastic, dominating inlay, but in moderation it can be a really powerful way to draw in the eye. Shell is an amazing way to bring in some other natural colors that are not found in wood. 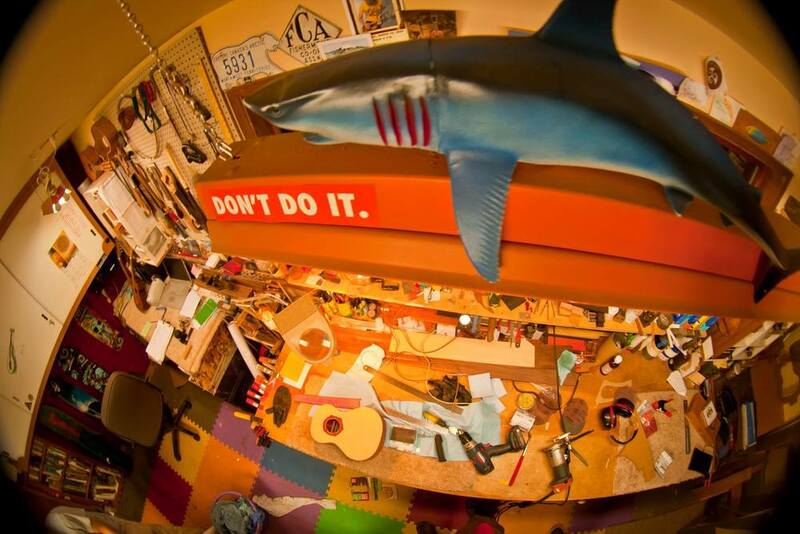 My instruments stand apart visually and will make you happy every time you pick one up!" 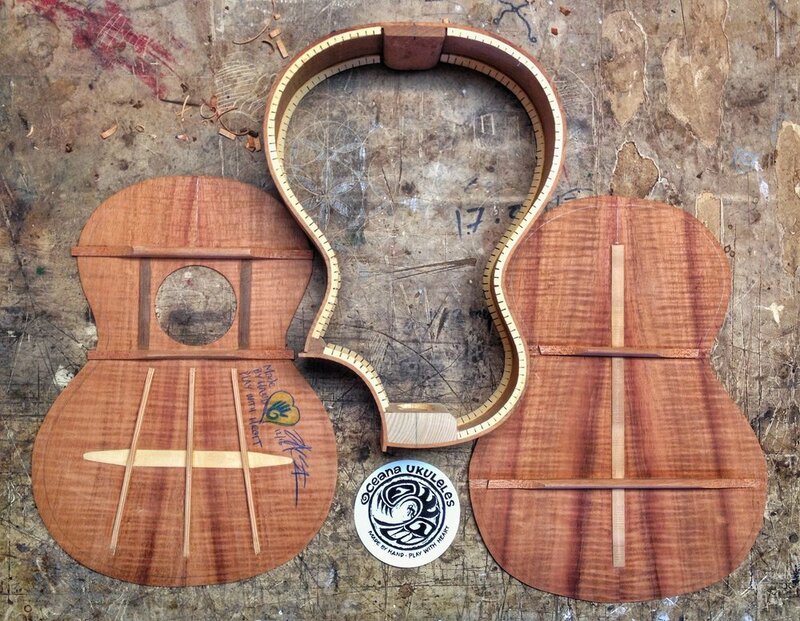 "Finishes affect the sound and looks of an instrument as well as the durability. My goal is to protect the ukulele while not dampening the sound. Oil finish: I prefer a hand rubbed oil finish. 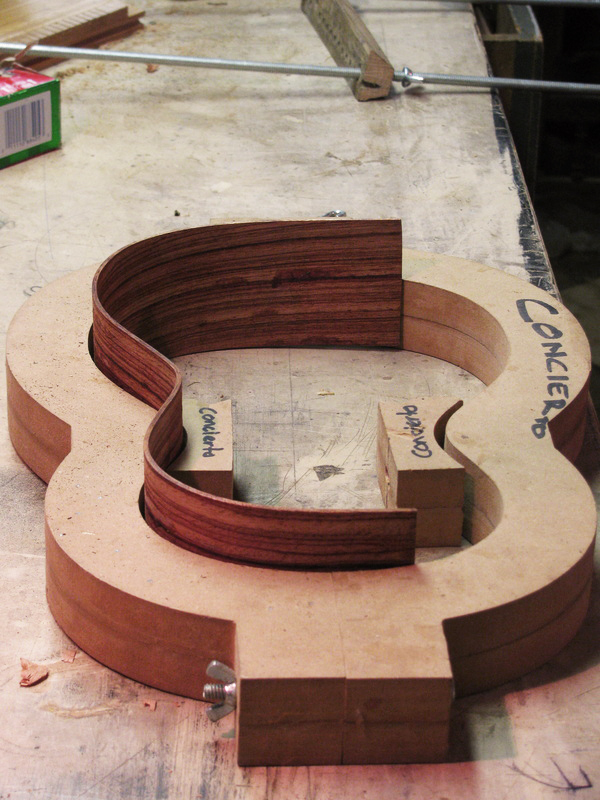 It maintains the wood feel and is a very thin finish that does not mask the sound. 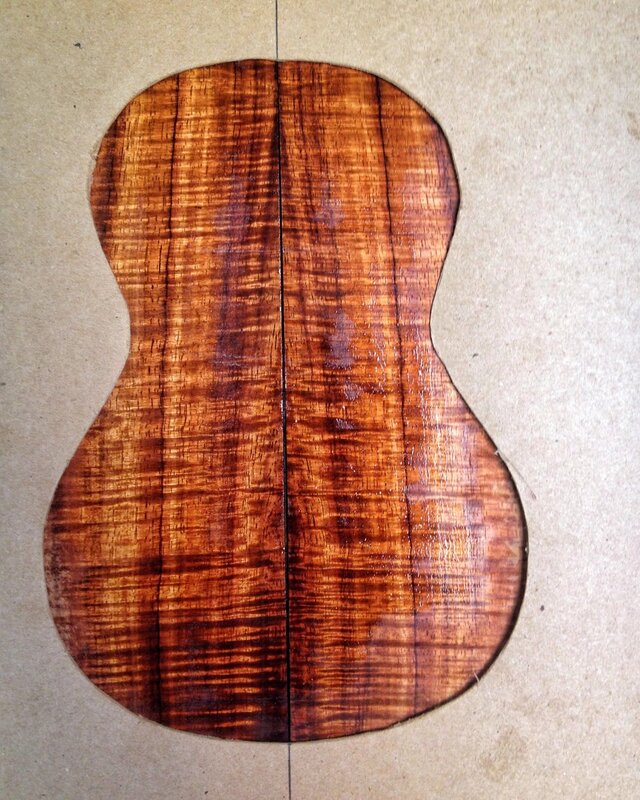 However, it doesn't protect the instrument in the long run as well as a lacquer finish. Lacquer: Currently I'm using a UV cured poly. It makes a great finish that can be used thin with the options of Matte or Gloss. Matte: My matte finish can be thinner than the gloss while still offering the same protection. Because it is thinner it sounds better and the slight tooth keeps it feeling more natural. Gloss: Gloss finishes let the wood show off more, but have to be layer on a little thicker and as such we lose some sound and it can feel less wooden. All my finish options are gorgeous. 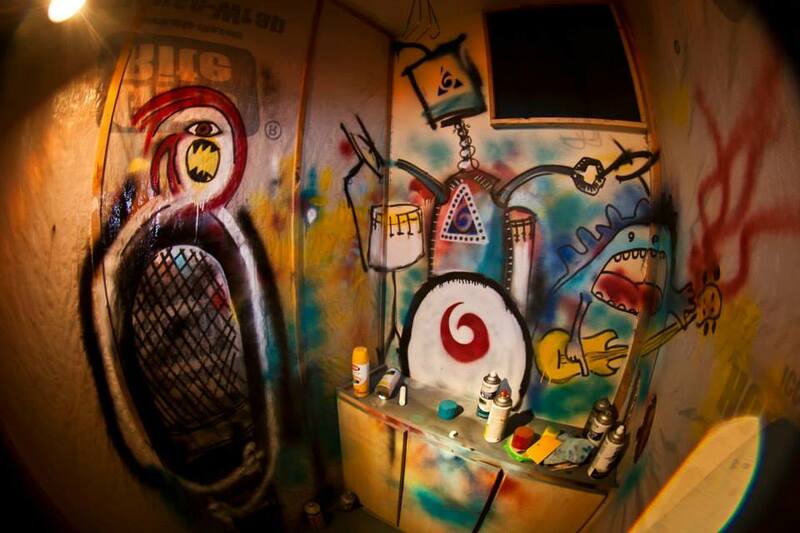 Each finish style has its pros and cons, but I have worked tirelessly to minimize the cons and maximize the pros!" What about tuners and strings? "I have been using Aquila strings almost exclusively now for years and am delighted with their sound quality and playability. The Bionylon Is the most durable and best sounding in my opinion. I also really like the Worth brown strings. 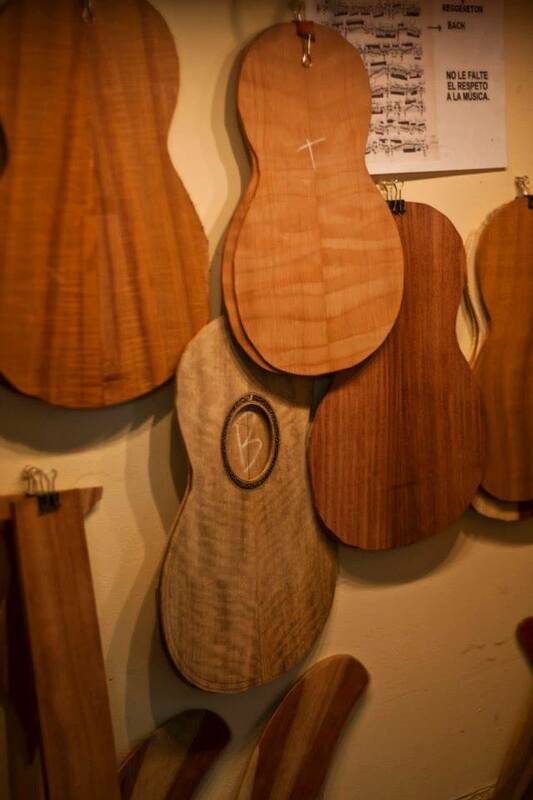 There are a lot of good sounding strings out there and I am open to your suggestions for your custom ukulele!" "Tuners are very important! 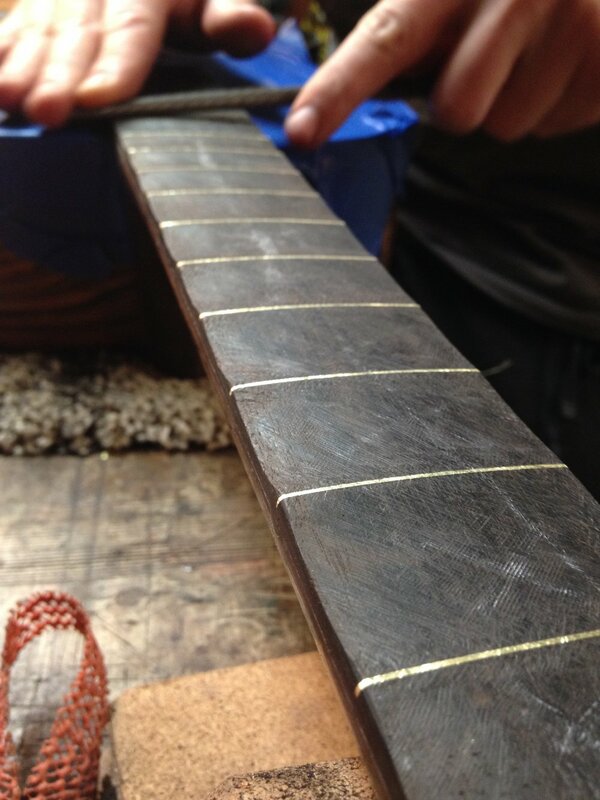 They do much more than help adjust the tuning, they also affect sound and look! They affect the sound just like a mute on a violin: the more metal up there on the head the more it dampens and mutes the sound. So as a result I like light weight tuners. It helps the sound and balance (weight). Looks are really important, you need to like what you see! Some of my favorites are the Peghed. They look like retro pegs but are geared and tune real smooth." 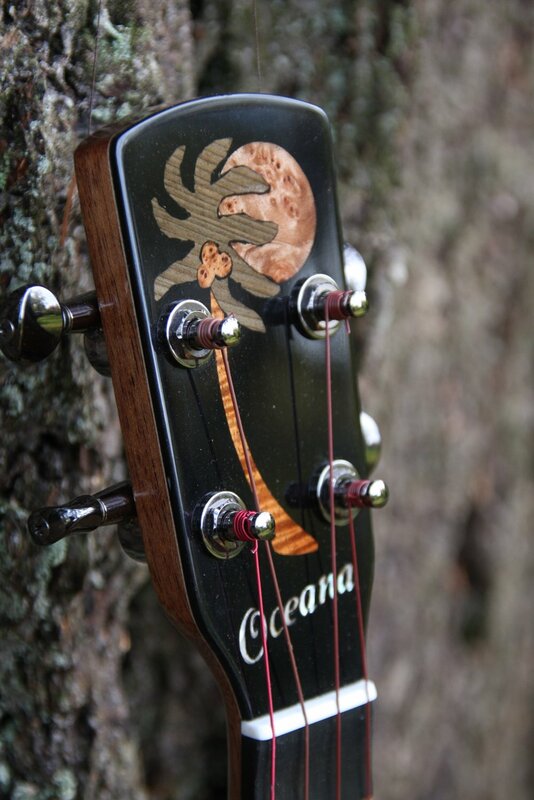 Making the Oceana ukulele dream come true! 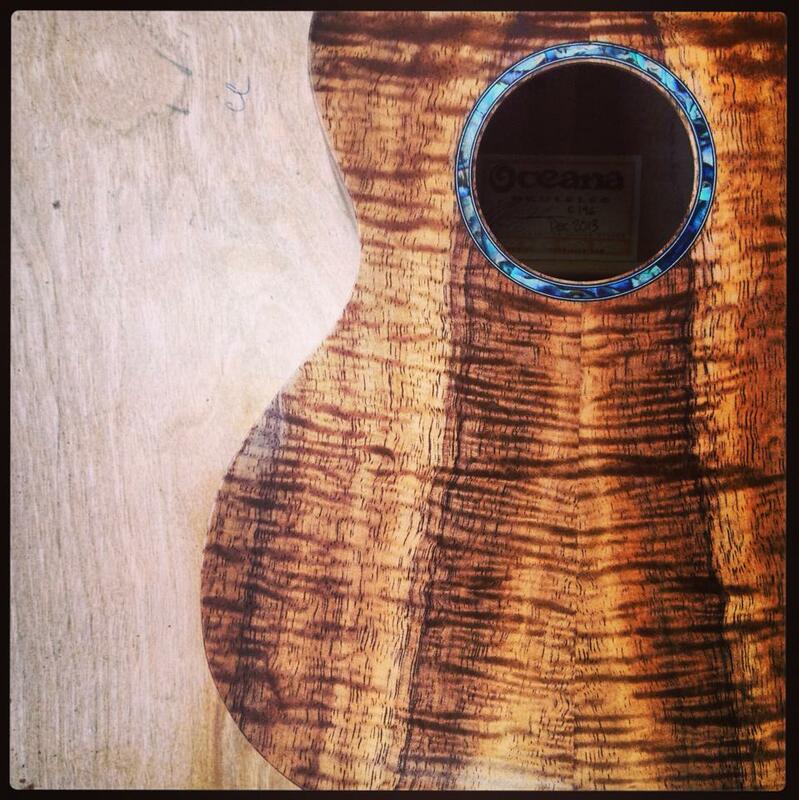 Peghed tuners on a all Koa tenor.